Retirement tours have strangely become a thing in sports over the last half dozen years. Athletes announce they will leave their sports before the beginning of the year and take one last jaunt around the block. The first big tour was Mariano Rivera, the best closer in baseball history. 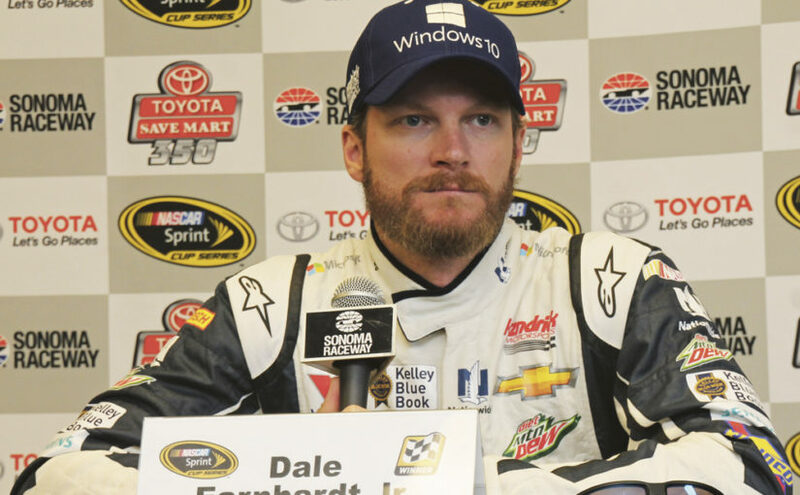 The most recent person to announce his tour is Dale Earnhardt Jr., who will be going into his final NASCAR season. Before diving into what is good and bad about the tours, it is right to talk about Earnhardt. Despite never winning a NASCAR championship, he was always a popular driver in pit lane. His 14 straight “Most Popular Driver” awards confirm that. But there is more to Junior and 2001 is the right place to start. The Daytona 500 that year will always be remembered for the wrong reasons, the final lap wreck that killed Dale Earnhardt Sr. Junior won the July event at Daytona, the return to the track that claimed his father. He added another win at Dover that year, the first NASCAR race post-9/11. After that, he became a crowd favorite, collecting a total of 26 wins including the 2011 Daytona 500. Last season proved to be one of his most testing seasons, as he missed the final 18 races with concussion symptoms. He returned at the 500, finishing 37th after getting caught up in a crash when Kyle Busch got loose and spun up into the wall. Earnhardt had been running in the top 10 at the time. Now he has announced his retirement with 30 races remaining on his tour. At least this will end speculation on if he will extend his current contract. The time in between the announcement and actual retirement brings up the first issue with the tours. They can be prolonged and lose their shine after a few events. While it is cool the fans at a certain place will catch a great going through one last time, the general public kind of forgets it in the middle of the tour. It’s going on, and that is fine, but let’s celebrate at the end instead. Despite that, the tours can have their moments. Look at the gift the Minnesota Twins gave Rivera on his last trip to Target Field. It was a genuinely funny moment as the closer was presented with a chair made of broken bats. Or how about a member of the Red Sox getting a standing ovation at Yankee Stadium. That is what happened to David Ortiz on Papi’s final game in the Bronx. Going back to motor sports, it would be remised not to mention Formula 1 star Felipe Massa last year at his final home Brazilian Grand Prix. The hometown hero crashed out of the wet race in the final corner halfway through the race. He then climbed out of the car, was given a Brazilian flag and walked down pit lane with a guard of honor from rival teams’ crews and into the arms of his wife. It was an emotional moment to say the least. Then there is the other side of the coin, announcing retirement out of nowhere, which is exactly what last year’s F1 world champion Nico Rosberg did. Just days after an exhausting championship decider under the Abu Dhabi lights, Rosberg walked away from the sport. Shock followed throughout the motorsport community. Nico had been just short of the title the past two year, losing out to teammate Lewis Hamilton in hard fought battles. He had his title, just like his father Keke, who won in championship in 1982. In the post-race interviews, Nico looked like a man with a weight off his shoulders. Looking back at the interview after he retired, the reason why he was so relieved is evident. The announcement flipped perception on some of his more questionable actions during the season. It was just as a profound moment as when a great announces retirement before the end of the year and it brings with it a different impact. Perhaps retirement tours are just a bit unnecessary.